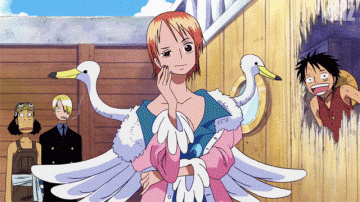 Franky (ãƒ•ãƒ©ãƒ³ã‚­ãƒ¼FurankÄ«) is the shipwright for the Straw Hat Pirates. He is a 36 year old cyborg from Water 7 and was introduced in the story as the leader of the Franky Family, a group of ship dismantlers. He was originally named Cutty Flam until he threw away his original name for his nickname per the request by Iceburg to hide his identity. Franky and his followers were originally introduced as antagonists of the Water 7 Arc against the Straw Hats until circumstances forced them to become allies. Per the request of the Franky Family, Franky was allowed to join the Straw Hats to fulfill his dream. He is the eighth member of the Straw Hat crew and the seventh to join Luffy's crew. He is also the second member to have been a former antagonist (the first being Nico Robin).